My lovely friend Jo and I have a tradition of treating each other to a birthday meal each year. 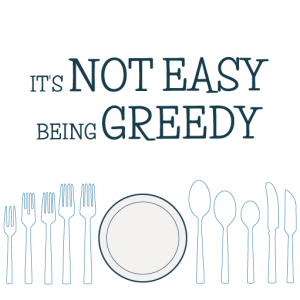 Unfortunately for Jo, her birthday falls in early January, when she – and everyone else – is trying to eat a bit more virtuously, so we generally choose a restaurant that allows some healthy-ish options. This year I suggested that we go to Deliciously Ella’s deli in Marble Arch. I am not a particular fan of Ella, but like anyone who enjoys cooking, I do like to browse a wide range of recipes and cooking types, and so have made some of her dishes. 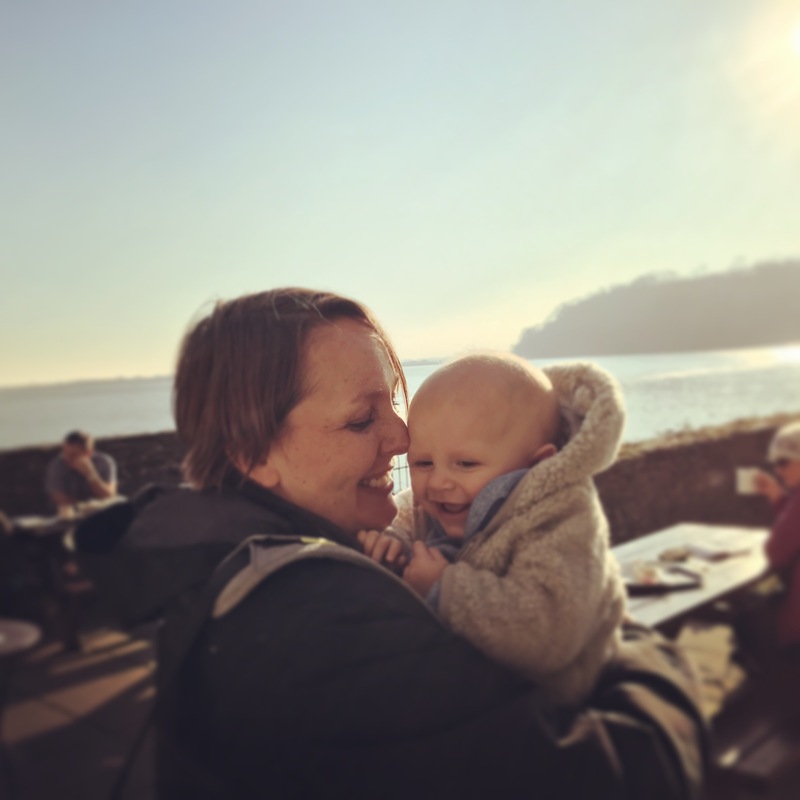 There has recently been quite a significant amount of negative press about bloggers like Ella who share their ideas for healthy living, which often include restricting diets to exclude wheat, gluten, dairy, meat etc. A so-called ‘clean eating’ lifestyle, although Ella has distanced herself from that term. Not my cup of tea – I enjoy everything in moderation (although I have been less moderate than I should be in recent times!) – but I was keen to check out what the fuss was about at her deli. 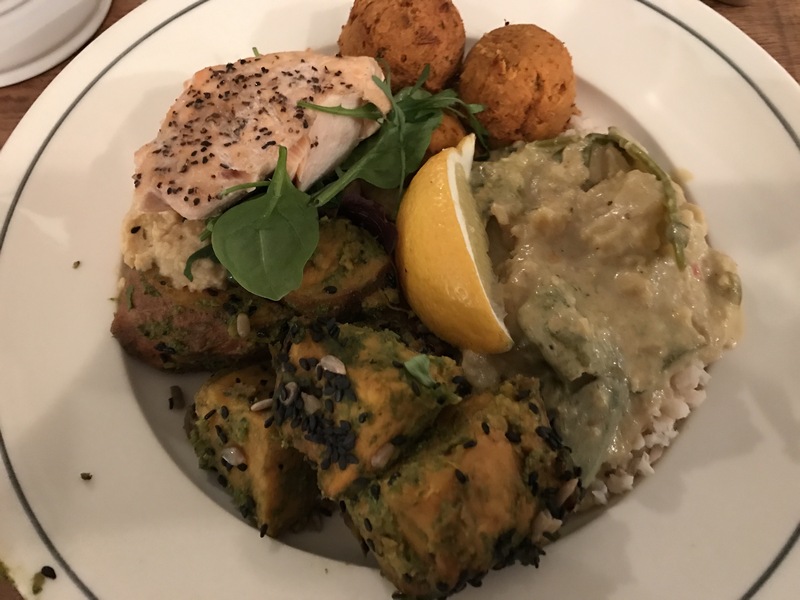 The basic premise is that you can choose four dishes from a selection of ‘free from’ options for just under £10, and add a meagre piece of chicken or salmon for another £4. There are also a selection of breads and cakes to buy (around £3 per cake), and juices, dairy free shakes or hot drinks. I didn’t note the price of the drinks, but judging by everything else, I doubt they were cheap. Once you choose your food you can pop downstairs to a charming seated area to eat your meal – when we arrived the tables were full of young women who looked like they avidly adhere to Ella’s dietary philosophy, so I felt too old, too fat, and too haggard to be there, but I was hungry so I got over myself! I ordered some Thai green curry with brown rice, sun-dried tomato falafel, roasted sweet potato and hummus. I also asked for a piece of salmon, and tried to hide my disgust at the size of it! All of the food was tasty – the curry was a little bit bland and could have done with more seasoning (perhaps the lack of fish sauce didn’t help) but I enjoyed it more than expected. The falafel were okay – I couldn’t detect much sundried tomato in the taste, although they were a pretty orange colour. Again, some more seasoning would have been beneficial. The hummus was creamy and tasty, and I enjoyed the roasted sweet potatoes. It’s a shame that the salmon was no more than a third of a fillet – for £4 I’d expect a full fillet, but it was nicely cooked. I chose a chocolate cashew milk shake to drink with my food, mainly so I could taste a nut milk, and I was very pleasantly surprised. It tasted creamy and like an expensive chocolate shake. I’d definitely have one again. For pudding, I picked one of each of each dessert which was left (I must say I felt the disapproving looks of other people in the deli as Jo and I sampled each of the cakes – others in there were sharing a tiny brownie between 4 people!). 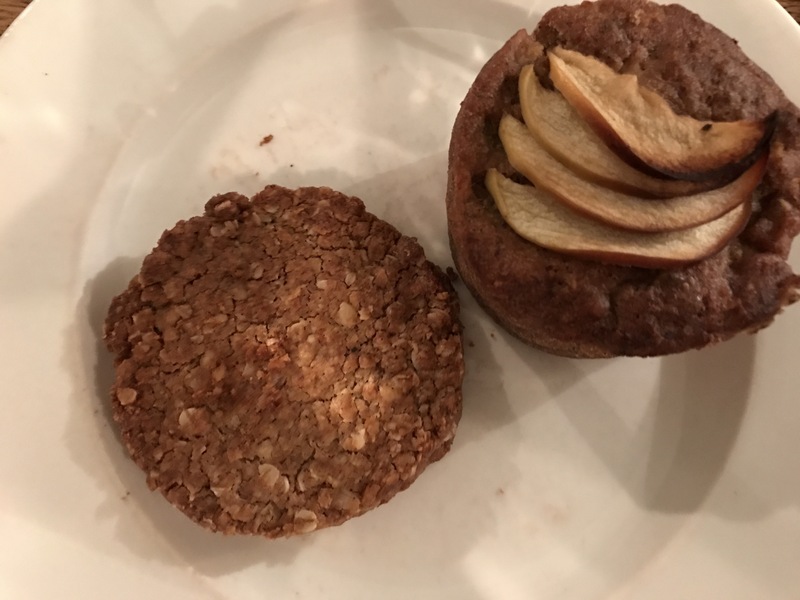 We had a brownie (tiny and dry), a peanut biscuit (nice flavour but the texture was like sandpaper), a banana and apple muffin (too stodgy but that could be because I am not a fan of banana bread) and a peanut chocolate slice, which I really enjoyed and will seek out the recipe for. I had a MaE coffee with my pudding, which was made with coconut milk, and much nicer than I had expected. Overall MaE Deli is worth a visit if you have a spare £20 burning a hole in your pocket. We left feeling surprisingly bloated but I am sure that was down to the quantity of what we ate rather than the quality of the food! 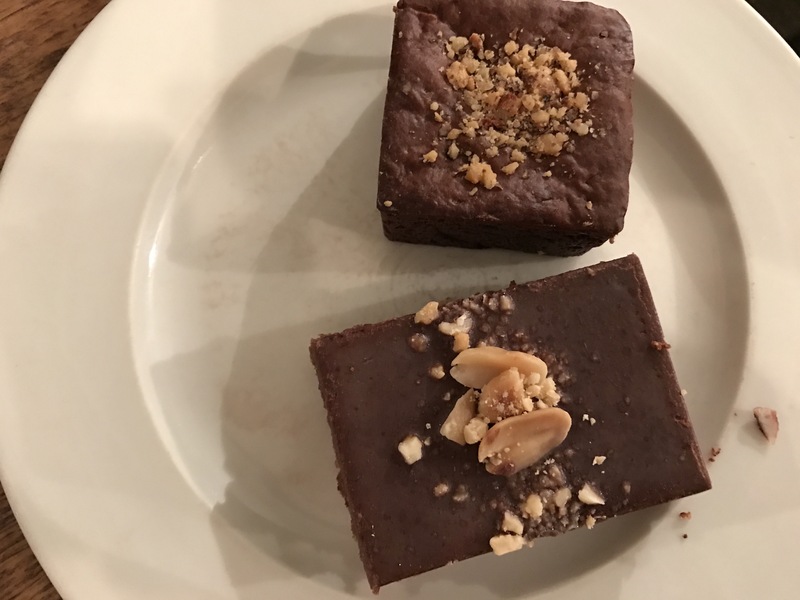 I was genuinely impressed by some of the vegan recipes (peanut chocolate slice, Thai green curry, coffee with coconut milk) and will definitely replicate them for my vegan friends (I’d try them on Andrew but I don’t think he would be impressed …). Hopefully Ioan will be able to eat everything we’re having, but if not I have a couple of purees in the deep freeze for him, including chicken and sweet potato stew, and cod, leek and courgette stew.